Bottled-water quality water without the bottles, all with the push of a button! 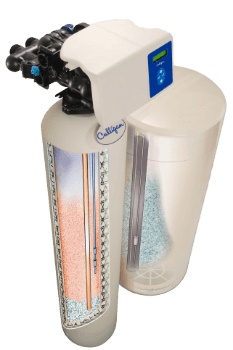 The Aqua-Cleer Reverse Osmosis Drinking Water System can reduce up to 99.9% of contaminants that can leach into your water such as lead, aluminum, mercury, pharmaceuticals, pesticides and more. 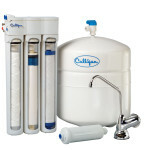 The Culligan Solution for all your water problems such as rust staining sinks, tubs and toilets and stinky water! Softened water can reduce hot water heating costs nearly 30% and your appliances will be free of hard water build-up. Your hair and skin will be softer, too! Ask Us About Our Low Monthly Payment Plan! Take Advantage of Santa’s Savings Before It’s Too Late!